Without a doubt, the federal government’s decision to pay legacy debts totalling N213 billion in 2014 as part of the process of boosting gas supply to Nigeria’s power sector is indeed a big step in the right direction. However, a lot more has to be done, especially in the stopping of pipeline vandalism. This will ensure that the callous and greedy acts of a select few do not thwart the government’s efforts to use natural gas to provide power for the innocent majority. Right in the centre of the homepage of the Presidential Task Force on Power lies a small tab titled “GENERATION REPORT”. This tab provides a snapshot about the status of the country’s electricity system for the previous day and is perhaps the most succinct summary of the rather sorry state of Africa’s largest economy’s power system. Looking through this must be very disconcerting for every Nigerian; the peak electricity generated is barely 30 percent of the peak demand. However, the more poignant issue is that many power industry experts like myself believe that peak supply-demand ratio is much lower; 15 percent at best! This is because we believe the government’s estimate of a 12GW peak demand vastly underestimates the true demand. The government’s 12GW peak demand estimate means that the Africa’s largest economy’s peak demand/capita is 71W/capita, while South Africa’s (Africa’s second largest economy) stands at over 600W/capita. Admittedly, South Africa’s GDP/capita is slightly above double of Nigeria’s; still, this does not explain the vast disparity in peak electricity demand per capita. If we pretend for a moment that government’s estimates are correct, the next logical question is: why is there an 8GW supply shortage? This question does indeed have many answers but for the sake of brevity, I will just mention the two dominant ones – lack of adequate generating capacity and unavailability of some existing generation plants. With a total installed capacity of 8457.6MW (81 percent of total) in early 2014, thermal plants (gas-fired plants) dominated the Nigerian power supply mix. The rest of Nigeria’s capacity is in the form of hydropower plants. On face value, the thermal capacity alone is nearly double of Nigeria’s recorded peak generation (4600MW generated 11/11/2014). This immediately prompts the question: why is Nigeria not using all its installed capacity considering the huge demand-supply shortfall? In addition to this outright gas supply shortage, another issue that is to blame for the unavailability of Nigeria’s thermal plants is pipeline vandalism. Sadly, this is an issue that has been around for a long time with the government seemingly being unable to arrest it. Pipelines are essentially the veins of gas-powered generation…In January 2016, Babatunde Fashola, the minister of power reported that the vandalism of the Excravos-Lagos pipeline was to cost N470 million in losses per day across the entire power sector supply chain. Sadly, it is not that simple. The quantity of electricity that can be generated at any point in time is not determined by the total installed capacity but rather by the total available capacity. The available capacity is the percentage of the total capacity that is not prevented from working through planned/unplanned outages and/or the lack of required fuels. While the poor maintenance culture in several Nigerian power plants means they have considerable unplanned outages, the main problem facing Nigeria’s thermal power plants is the lack of fuel – natural gas. How then is Nigeria, the country with the 9th most proven natural gas reserves in the world unable to provide the natural gas needed by her thermal power plants? In November 2014, the minister of Power, Prof. Chinedu Nebo stated that Nigeria was losing over 60 percent of its installed gas-fired capacity due to the lack of gas. He declared that while 1.9 billion cubic feet of gas was needed per day to power the country’s total capacity, the gas plants were only able to produce approximately 900 million cubic feet per day. In addition to this outright gas supply shortage, another issue that is to blame for the unavailability of Nigeria’s thermal plants is pipeline vandalism. Sadly, this is an issue that has been around for a long time with the government seemingly being unable to arrest it. Pipelines are essentially the veins of gas-powered generation; they provide the route for the transportation of natural gas from where they are mined to the power plants where they are needed, which are often numerous hundreds of kilometres away. According to Dr. Sam Amadi, the former Chairman of the Nigerian Electricity Regulatory Commission (NERC), Nigeria lost as much as 10 percent of the total thermal capacity due to pipeline vandalism in early 2014. In January 2016, Babatunde Fashola, the minister of power reported that the vandalism of the Excravos-Lagos pipeline was to cost N470 million in losses per day across the entire power sector supply chain. Historically, the biggest challenge the government has faced when attempting to procure natural gas for local power plants is price. The price of the raw material – natural gas – will undoubtedly affect the final cost of electricity. Electricity is highly subsidised in Nigeria. As a result of this, the government has consistently attempted to coerce gas producers to sell their gas to Nigerian utilities at prices much lower than the international going rates. Unfortunately, the adverse effects of this gas supply shortages are not limited to existing thermal plants. More importantly, they could spell real trouble for the government’s commitments to expanding gas-fired generation in Nigeria. In a country where policy U-turns is all too frequent, one policy that seems to have lasted is the government’s commitment to encouraging gas-fired power generation. 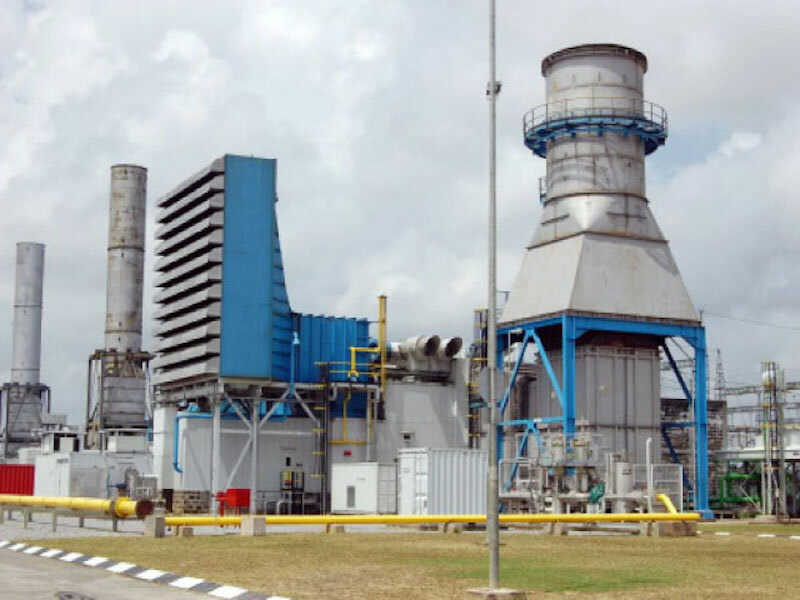 Gas-powered plants are viewed as the cornerstone of the capacity expansion needed to develop Nigeria’s power system to the levels required for sustained and high-end economic development. The landmark moment confirming the big commitment to gas-fired power generation was the launch of the National Integrated Power Projects in 2005 by the Olusegun Obasanjo government. 10 years on, majority of these plants are yet to be completed and the completed ones have been hindered by the gas shortage problems. Under the initial plan, the plants built under the NIPP were to be privatised after an initial period so as to enable to three government tiers who co-funded the project to recoup their money. Not only does this gas supply shortage mean it will be harder for the government to find prospective buyers for these plants, it also potentially leaves the government vulnerable at the negotiating table. The inability of the government to get good value for its investment could have repercussions on the social welfare side, especially at the local government level. Equally alarming is the adverse impact of the gas shortage problem could have on the willingness of foreign investors to invest in Nigeria’s power sector. Addressing the gas shortage problem should be easy: (a) increase Nigeria’s gas exploration and transportation capacities and (b) develop and implement security measures to protect the pipelines from vandalism. Actually, it is not as straightforward as it may seem. The government’s attempt to minimise gas prices may be inadvertently aided by the discovery of shale gas. The advent of shale gas is expected to lead to reductions in the international gas market as more countries discover their abundant reserves. Understandably, the gas producers have been unwilling to do this. Consequentially, gas production in Nigeria has not expanded at the required rates. Some industry experts also believe that the government’s artificial pricing regime for gas-to-power is responsible for some of Nigeria’s gas pipeline vandalism issues. They theorise/speculate that gas production companies are incentivised to vandalise their pipelines to the power sector in order to increase the gas volumes they sell to their industrial consumers who pay almost three times more per unit volume of gas. The government’s attempt to minimise gas prices may be inadvertently aided by the discovery of shale gas. The advent of shale gas is expected to lead to reductions in the international gas market as more countries discover their abundant reserves. Lower international gas prices should make Nigerian gas producers more willing to invest and sell their gas to Nigerian power generators.